Make a pot roast using your slow cooker and mushroom soup. 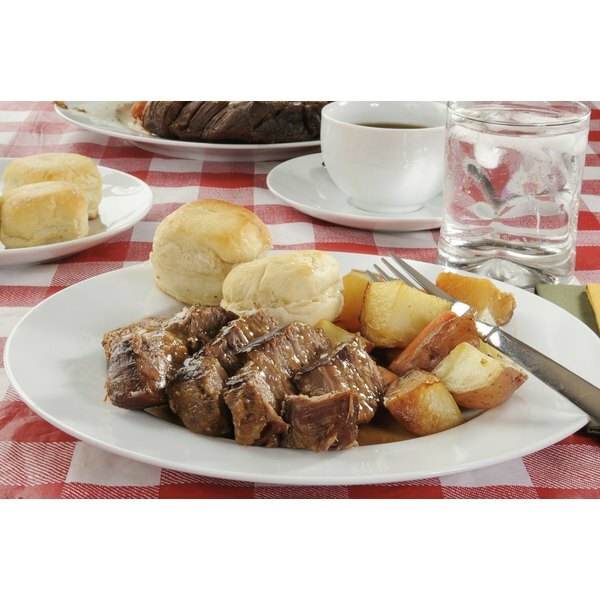 Making pot roast in a slow cooker can help ease the strain of preparing a home-cooked meal at the end of the day. If you have a few minutes before you need to put the roast in the Crock-Pot, pan searing your roast in a few teaspoons of canola oil on all sides will help seal in the juices and give you a nicely browned, very tender roast. Select a chuck roast, brisket or a round roast to cook in your slow cooker as these roasts are best suited for long, slow cooking compared to prime cuts of beef; rinse your meat. Pat the roast dry with paper towels then season with 2 tsp. of garlic powder and ½ tsp. of black pepper. Pan sear or braise your roast, or place it directly into the crock pot. Sprinkle one envelope each of brown gravy, Italian dressing and ranch dressing dry mixes over the roast. Pour 1½ cups of water over the top of the roast. Add two cans of condensed cream of mushroom, stirring around the roast to completely combine; rotate the roast one time. Cover the roast with 8 oz. of fresh sliced button mushrooms and 8 oz. of fresh sliced shiitake or crimini mushrooms. Submerge as much of the mushrooms in the broth as you can. 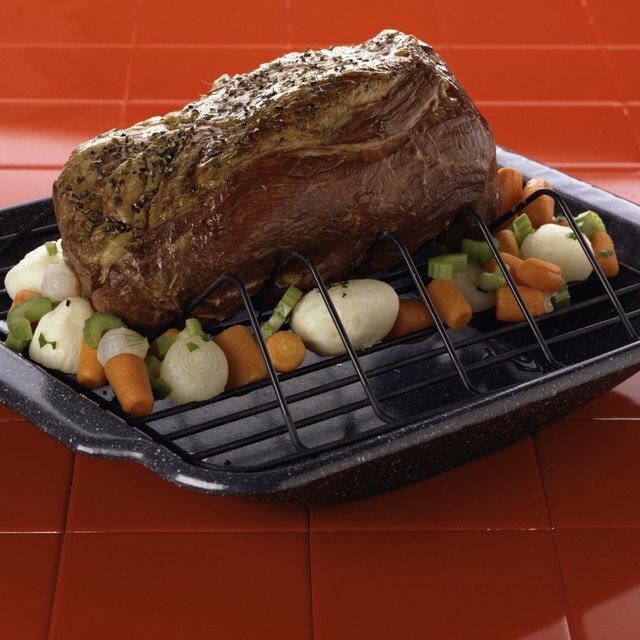 Turn the heat to low, cooking your roast for eight to 10 hours. If possible, add quartered potatoes about two hours before the cooking time is up. Add raw carrots and celery to the roast one hour before you eat. Use multiple, small cuts of roast for individual pot roasts. Substitute low-sodium beef broth instead of using water. If you are just getting home and are unable to add vegetables to your roast, steam the veggies in a microwavable bag and microwave the potatoes. Ladle the broth from your roast over your veggies and your spuds.